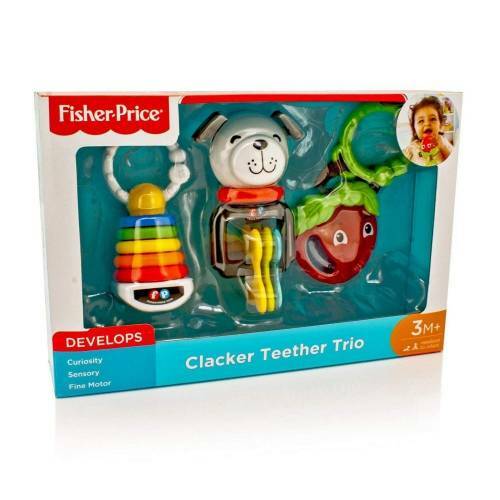 Your baby will enjoy all the fun sounds, colours and textures on this Clacker Teether Trio set. 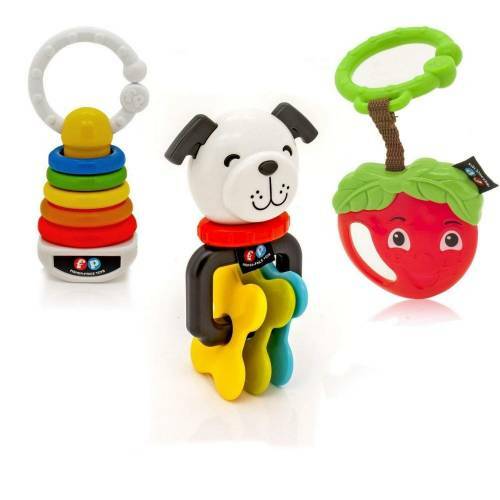 From teething on the "chewy", happy apple to the fun clacker and rattle noises of the puppy friend and mini Rock-a-stack, baby is going to love this set of familiar playtime pals. Develops curiosity, sensory and fine motor skills Apple Teether with easy-grasp handle and link for fun on the go Puppy Rattle with textured ears and bone clackers Mini Rock-a-stack Rattle with colourful rattle rings and link for fun on the go.